My essay on Census reform for the American Bar Association's magazine for teachers, Insights on Law & Society. 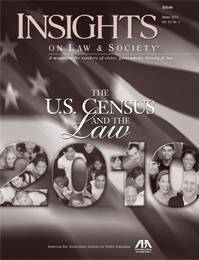 Under the banner “How Would You Reform the Census?”, the American Bar Association ran my essay in Insights on Law & Society. The magazine is for teachers of civics, government, history and law, and the entire issue was on the Census. The Census Bureau counts people in prison as if they were residents of the prison location, not of their home communities, and that creates a big problem for democracy. Two hundred years ago, when few people were behind bars and the purpose of the Census was limited to determining the relative populations of each state for the purposes of Congressional apportionment, it didn’t matter whether a prisoner was counted in urban Brooklyn or in a remote Attica prison cell as long as he was counted in the correct state. But today, the country has changed, with more than 2 million people behind bars on Census day, and new requirements for apportioning state and local government. In 1790, the purpose of the Census stopped at congressional apportionment, but now the Census is used for redistricting, by which state and county legislatures redraw their district lines so that each district contains the same population. By drawing districts of equal population, each resident will have the same influence over government, regardless of where she lives. 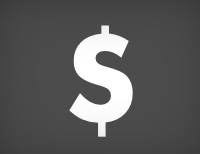 Unfortunately, the process of drawing fair and equal legislative districts fails when the underlying data is flawed. 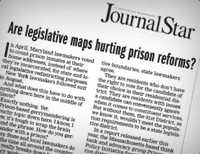 Drawing district lines around prisons results in giving some people disproportionate influence over the legislature. 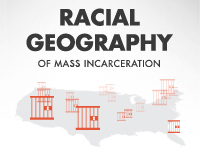 The impact is the strongest in county board districts, where a single prison can be as much as 90% of a district, giving the people who live immediately adjacent to the prison ten times as much political influence as others. For this reason, about a 100 rural counties currently reject the Census Bureau’s prison counts when apportioning their local districts, and other states and counties are considering following suit. To support that effort and give data users more choices, the Census Bureau recently agreed to publish the prison count data earlier, to make such adjustments easier. The ideal solution? Starting in 2020, the Census Bureau should count people in prison as residents of their home communities. The country, its population, and the needs for its data have all changed since 1790. It’s time the prison count does as well. Peter Wagner is an attorney and Executive Director of the Prison Policy Initiative. He regularly testifies before legislatures and consults on how governments can avoid prison-based gerrymandering. Editorial: if part-time residents can’t be counted at their second homes, consistency requires incarcerated people to be counted at home, not at the prison.